During Sunday's quads in Westfield, I took these pictures. Summer Camp at "Chess Mates"
On Wednesday afternoon, I instructed the summer camp at Chess Mates. In the picture, Lui Gardner plays White against Angel Munoz-Avila. 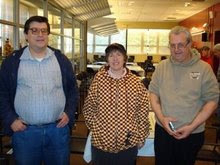 With a perfect score, Serge Adelson won the 2012 club championship at Chess Mates. I finished with a score of 3-0-1. 36.Qf2 Qf6 37.Qd4 Qxd4 38.Rxd4 Kf6 39.g4 Bc8 40.Kh2 Bb7 41.g5+ Kg7 42.Re7, Black resigns. 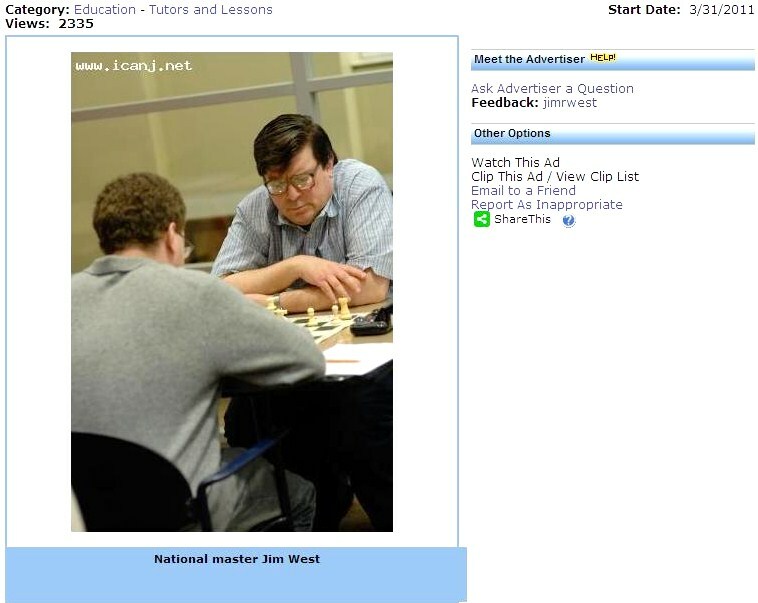 On Saturday, I snapped these photos at Chess Mates during the June grand prix tournament. 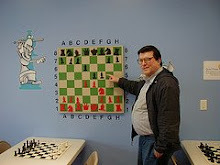 On Monday evening, this game took place at the Marshall Chess Club. 29.Rd6+ Rxd6 30.exd6 Kc6 31.Re6 Kd5 32.Rg6 Bf6 33.d7 Bd8 34.Rxa6 Rf6 35.Ra8 Rf8 36.Rc8 c4 37.Ne7+ Kd6 38.Nc6 Kxd7 39.Rxd8+ Rxd8 40.Nxd8 Kxd8 41.Ka3, Black resigns. On Sunday, I drew the following game at the Westfield quads. 24.cxb4 cxb4 25.Qb5 Qxb5 26.Bxb5 Rxe1+ 27.Kxe1 bxa3 28.bxa3 Rb8 29.a4 Bc3+ 30.Ke2 Bb4, draw. 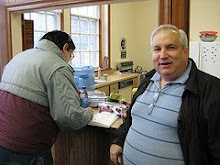 On his birthday, Anthony Norris [pictured] won yesterday's grand prix tournament at Chess Mates. I finished with a score of 1-0-3. 32.Ke3 h5 33.Nf3 hxg4 34.hxg4 Ne5 35.Nxe5 Bxe5 36.Kd3 g5 37.Bb3 Kd6 38.Kc4 Bf4 39.Kd4 e5+ 40.Kc4 Bd2 41.Kb5 a5 42.a4 Bb4 43.Bd5 Bd2 44.Kb6 Bb4 45.Bc4 Bd2 46.Ba6 Bb4 47.Bc8 Bd2 48.Bf5 Bb4 49.Bh7 Bd2, draw. The book features gripping narrations of Phiona’s games against far older and more experienced players, a fascinating look into the evolution of chess in a war-torn and struggling nation, as well as the unlikely story of how her mentor Robert Katende, a refugee of Uganda’s civil war, has created a flourishing chess program for kids in one of Africa’s most treacherous slums. In the shadow of the Williamsburg Bridge, a castle grows in Brooklyn. It goes by the name of Intermediate School 318. At least, that was my first impression of I.S. 318, where I visited last week for a screening of the documentary film Brooklyn Castle. One parent - a complete stranger - smiled at me and raised her arm skyward in a gesture of optimism. 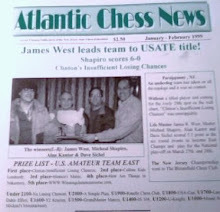 I have looked at after school chess from both sides of the demographic spectrum now - from the affluence of Morris County in New Jersey (where one kid gets picked up after class by his au pair, driving a luxury vehicle) to the poverty of Kings County in New York City. Driving home after the screening, I could not help thinking how unfair life seems at times. 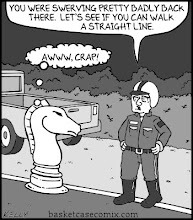 People say chess is complicated; but, compared to life, it is a simple game. Just play the right moves, and you win. Unfortunately, in life, you can play all the right moves and still wind up losing. I hope such a fate does not await the kids from Brooklyn Castle. 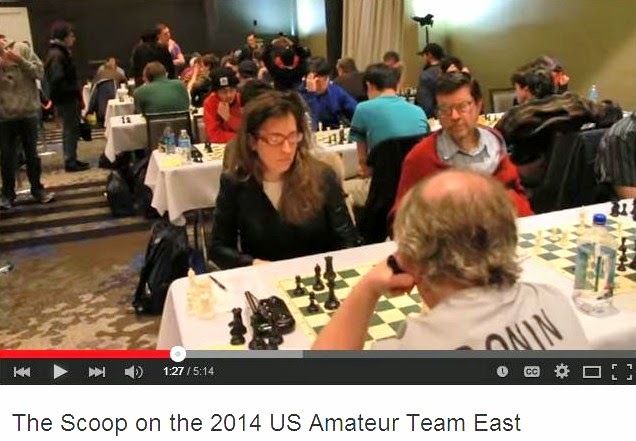 On Wednesday evening, this game was played at Chess Mates in the club championship. 51.Bc1 Na6 52.Bg5+ Kf7 53.Bd8 Nc5 54.Bb6 Na6 55.Kg5 c5 56.Kh6 c4 57.Be3 c3 58.Bc1 c2 59.Kg5 Nc5 60.Kh6 Kf6 61.Be3 Kf7 62.Kh7 Na6 63.Kh6 Nc5 64.Kh7 Na6, draw. 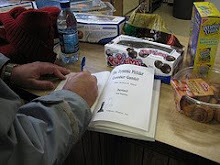 With one second remaining on my clock, I offered a draw last night at the Marshall Chess Club. 31.Ne4 Rd1 32.Qe2 Rb1 33.c5 Bd5 34.Nc3 Rxb3 35.Nxd5 Rxd5 36.Qc4 Rbd3 37.cxb6 Kh7 38.b7 Rd8 39.Qxd3+ Rxd3 40.b8=Q, draw. The spring session, in the after school chess program conducted by Enrich and Grow Academy and taught by me, ended yesterday at Shongum Elementary School in Randolph. 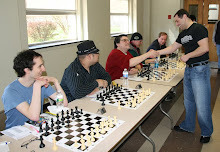 The tournament winners were Jesse Lissaur in first place, Gilad Krasner-Cohen in second, and Matthew Negrey in third. All three received medals. All four games of mine were drawn, in the weekend tournament at the Marshall Chess Club. 34.axb4 axb4 35.c4 Ra5 36.Qb3 Qh4 37.Ra1 Qd8 38.Rad1 Qb6 39.Bxf7 Rf8 40.Bd5 Qe3 41.Qxe3 Bxe3 42.Rxf8 Kxf8 43.Be4, draw. 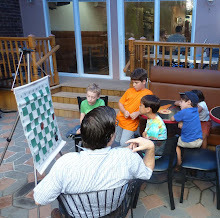 Yesterday I drew this game at the Marshall Chess Club, on day one of the Marshall June Grand Prix tournament. 51.Kb1 Kc4 52.Kc2 Kd4 53.Kd2 Kc4 54.Kc2 b5 55.Kd2 Kd4 56.Ke2 Kc4 57.Kd2 Kb3 58.Kc1 b4 59.axb4 Kxb4 60.Kc2 Kc4 61.Kd2 Kd4, draw. June Events at "Chess Mates"